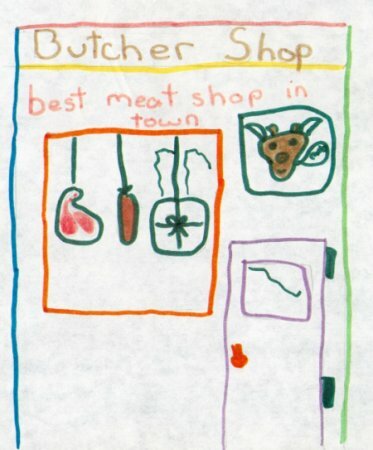 when looking for some old photographs i came across all my old school work from when i was a kid. my mom kept about 5 folders full of school work. so i decided to scan some from the one folder i found. 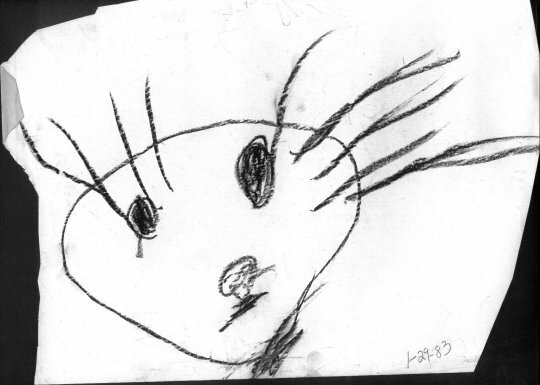 as dated, 1-29-83… i was 2 years old. i had this…”fetish”…for drawing everything with HUGE eyelashes that went off the page. hahah. 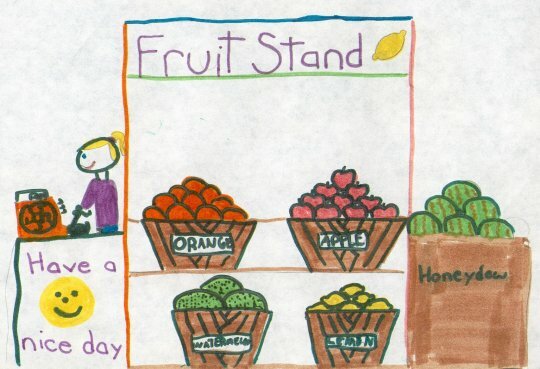 first grade…6 years old. see eric’s site for the commander tom episode on mpeg (if the link doesn’t work TELL ME PLEASE). 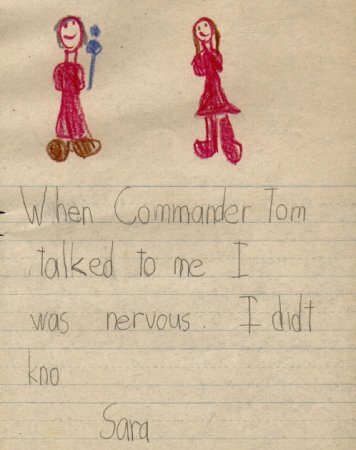 I actually do remember being very nervous when Commander Tom got to interview me. He asked me “if you were the principal of the school what would you do?” and i replied “i’d give the kids more work to do”…he asked me if i thought we didn’t have enough work, and i said yes we didn’t get enough work. he also asked my what my favourite letters were, and i said D and S. Also in this journal where this scan came from i had an entry saying “i hate seat work”…if i hated it so much why did i want more?! 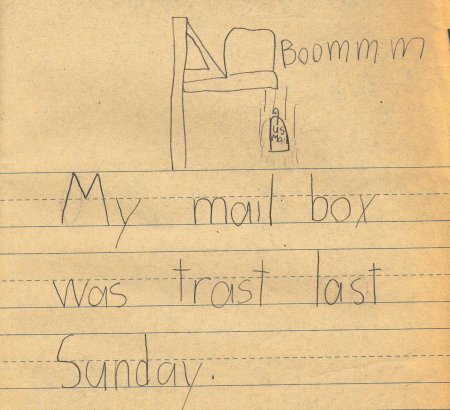 also from the same journal in first grade. my mailbox was blown up. LOL. and apparently this was a big enough deal that i wrote about it in my journal. some of the journal entries have “Translations” at the bottom. there was one that was something like “i saw my mom wearing goggles”…which in and of itself makes NO SENSE, but it was spelled so phonetically, and in words that were only half spelled out (like gogs was supposed to be goggles)…no idea what it said until i read the translation. 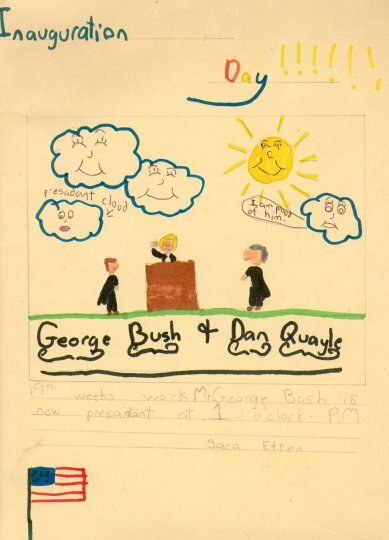 this had no date, but it must be 1989. hahah. hahahahaha. it’s just funny. no date, but hey look. i was drawing madonna before she even wore cone bras!! 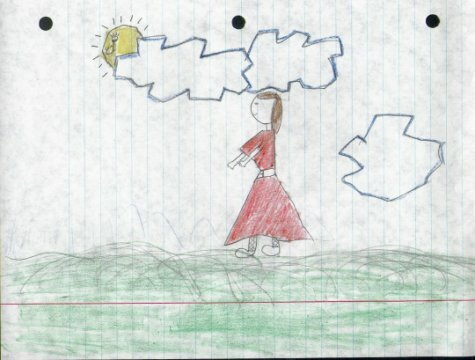 entitled “the masterpiece”… i remember drawing scenes like this alot. 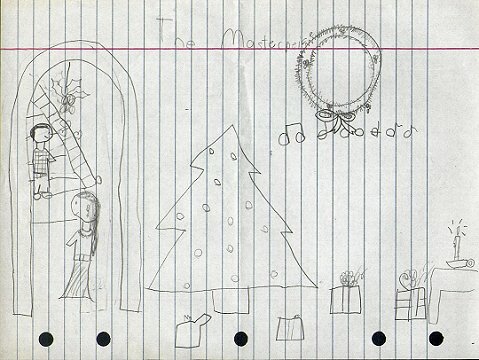 wreaths, christmas tree, the candle… the girl under the mistletoe. usually i had a fireplace in there instead of the mistletoe. the guy coming down the stairs has hearts by his face cuz he is in love with the girl in the archway hahahaha. it is indeed a masterpiece! this one was the best. i got tired of doing them towards the end, i actually sorta remember doing them. there was a candy store, and a fish store called “fishy smells” HAHA.